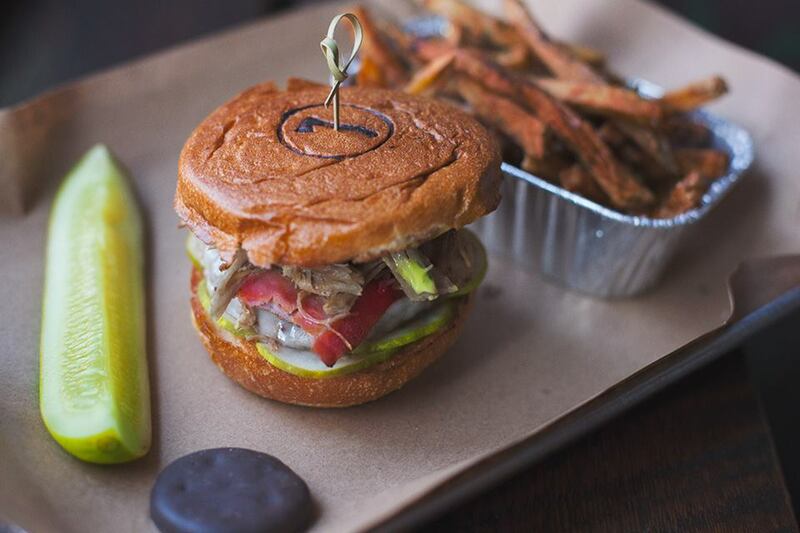 Allow us to introduce La Yuma, February’s burger of the month. A bacon/beef blend patty, 2 oz thick cut ham, 2 oz pulled pork, Swiss cheese, pickles, mayo, and yellow mustard, hot-pressed on a Sixteen Bricks Artisan Bakehouse challah bun. $1 from every one sold goes to our good friends at Mortar Cincinnati. It can be very difficult for urban entrepreneurs to start (or grow) their businesses…especially without a business background or resources. MORTAR exists to help bridge the gap for nontraditional entrepreneurs by supplying the technical assistance, mentors, exposure and connections needed to pursue their dreams of business ownership. PS: We’re obviously biased, but this thing is freaking delicious.